Some of you may know that I plan on retiring later this summer. In preparation for this event, GWTA has hired an Assistant Executive Director. Below is the press release announcing the new hire. Don will be starting on February 19. Welcome him aboard. Goldsboro – The Goldsboro Wayne Transportation Authority (GWTA) Board of Directors has hired Don Willis to fill the newly created position of Assistant Executive Director for GWTA effective Monday, February 19. In this position, Mr. Willis will serve as assistant to Executive Director Fred Fontana and will replace Mr. Fontana upon his scheduled retirement in August. Mr. Willis received his BS in Urban and Regional Planning from East Carolina University and a Master’s in Public Administration from North Carolina State University. 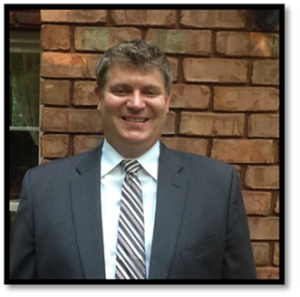 He currently serves as Demand Response Operations Manager for EZ Rider for the Town of Chapel Hill and has worked as Transportation Manager for Wake County Human Services and as the Rural Grants Program Administrator for the North Carolina Department of Transportation, Public Transportation Division. He also served as an apprentice for the Charlotte Area Transit System.